Dr. Berk has taught with the College of Physicians and Surgeons at Columbia since 2004, when he transitioned from his role as the Henry and Lillian Stratton Professor of Molecular Medicine at the Mount Sinai School of Medicine. He held the title for 15 years, from 1989 to 2004, and taught biochemistry and molecular biology. In particular, Dr. Berk is an authority on liver diseases, and has been editor-in-chief of Seminars in Liver Disease since 1996. He is a recipient of the Albert Nelson Marquis Lifetime Achievement Award, and has appeared in Who’s Who in America, Who’s Who in American Education, Who’s Who in Medicine and Healthcare, Who’s Who in Science and Engineering, Who’s Who in the East, and Who’s Who in the World. Born to Charles and Helen Berk in the borough of Brooklyn in New York, New York, Dr. Berk earned a BA in chemistry from Swarthmore College in 1959, and went on to complete a MD from Columbia in 1964. He interned with the Columbia-Presbyterian Medical Center, and in 1969 became a hematology fellow with the hospital. He served with the U.S. Public Health Service at the metabolism branch of the National Cancer Institute while in training, and returned to the service as a senior surgeon from 1975 to 1977. Dr. Berk worked with the National Institutes of Health on liver diseases, and was later named chief of hematology at Mount Sinai. 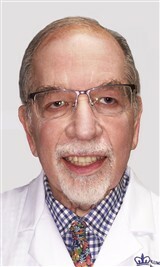 He held the title of Albert and Vera List Professor of Medicine for nine years, and served as acting chief at Mount Sinai School of Medicine for one year. Dr. Berk has received numerous accolades for his work in hepatology and medical education, including a 2004 George Jamieson Humanitarian Award from the American Liver Foundation and a 2003 Distinguished Service Award from the American Association for the Study of Liver Disease. He has received a number of honors from Columbia University, and as a student he was named a Fulbright Scholar of applied mathematics at the University of St. Andrews in Scotland. He is a fellow of the American College of Gastroenterology, the American College of Physicians, as well as the Obesity Society, and was inducted into the honor societies Sigma Xi, Phi Beta Kappa, and Alpha Omega Alpha. Dr. Berk is also the proud father of Claire, Philip, Edward, and David. He is the husband of Nicole Polak.